Today, more than ever, leaders are not only there to inspire and make tough decisions, they are highly visible role models 24/7/365. 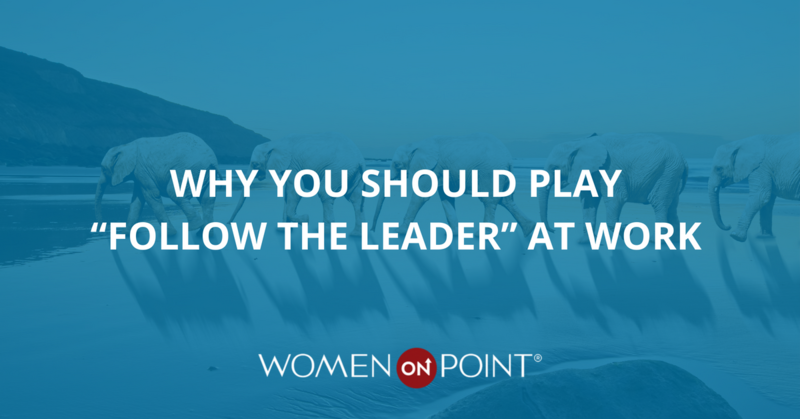 We all played “Follow the Leader” as kids, and it’s important to remember the rules and bring the game into your workplace and leadership style. Gone are the days when a leader could impose the “do as I say, not as I do” approach. Leaders are now intentional role models with a “when you see it, you can be it” and a “when you see better, you can be better” mentality. Your actions and behaviors can be even more powerful, and send an even stronger message, than your words. All eyes are on you…your direct reports, indirect reports, colleagues, co-workers, and supervisors are all watching. We all know how critical leadership presence is and that our communication is 93% non-verbal, but what does that really mean? That means that your team will follow your lead, will emulate your behavior, and will do what you do. You set the tone, the expectations, and the culture of your team everyday an in every situation through your actions. Sally is a devout introvert and tries to avoid networking like the plague. She usually arrives late and leaves early with minimal interaction with anyone she doesn’t know. Sally saw her team huddled together in the corner at a work event, and realized they were copying her behavior…she also realized how other co-workers were looking and judging her team. Sally committed to having a much more outgoing and friendly approach at work events, her team followed her lead, and they all learned to embrace networking. Jane, as the board chair, was on the agenda to deliver a PowerPoint presentation to all of the board members. The technology would not work, and Jane started to panic. Her “little self” wanted to have a complete tantrum like a two-year-old and blame someone else, but thankfully her “leadership self” prevailed and she navigated the technological glitch like a pro. Jane knew it was an opportunity to demonstrate how to deal with adversity and set a positive example for her team. Mary is a busy executive and admitted that she was not very inspired by her professional wardrobe. Over time her clothes got more and more casual. She also noticed that her team was implementing “Business Casual Friday” everyday of the week, and the slippery slope was out of control. Mary upgraded her attire when she looked down at a sea of flip flops, and realized she’d be mortified if any of them met with a client and represented her team and organization looking like they’re on their way to the beach. She raised the bar, reset the image expectations, and inspired her team to dress up the dress code. Sue is a self-diagnosed workaholic and leads a large team across multiple states…she also rarely takes a day off and never, ever unplugs. Without verbally expressing the expectations, her team adopted her workaholic style and suffers from severe burnout and a high turnover rate. Even though Sue encouraged her team to enjoy their weekends and take vacations, no one did because they witnessed Sue’s style and felt compelled to follow the leader. Sue finally realized that she was hurting, not helping her team, and needed to modify her behavior in order to set a more realistic example to save her team. 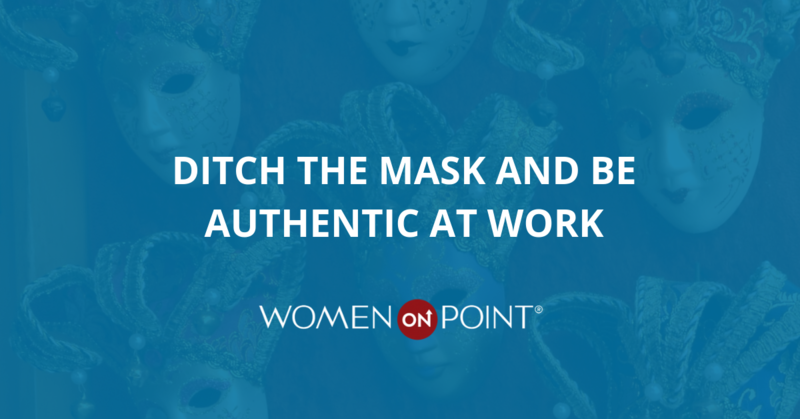 Your leadership style is always ON full display…you need to always be ON Point! And we’ve got you covered! We are thrilled to invite you and your girlfriends, colleagues, and co-workers to attend our next Women ON Point leadership summit on September 19 -21 28 at the Grand Hyatt in Denver, Colorado. Please register at (link) or contact Pam Borton at pam@pambortonpartners.com. Looking for more ways to stay ON Point? For three years we have been asked the age-old question after every summit, “What’s next?” Well, we can finally answer that question! We are officially launching our new Women ON Point 2.0 that will take place in Chicago on August 9, 2018. This is a one-day summit where we take a deeper dive into the most relevant challenges in our lives and the workplace today. Mark your calendars and register quickly. Click on the link.